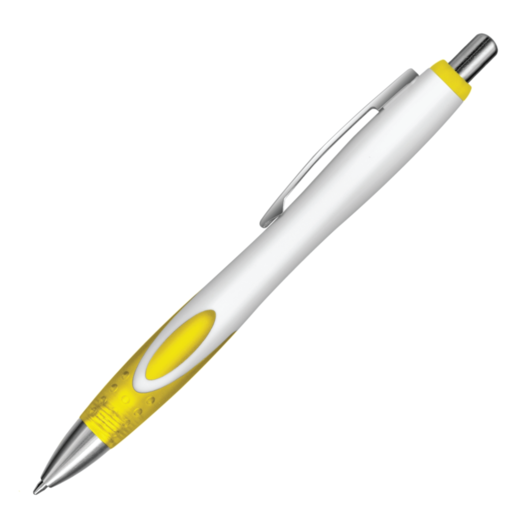 A funky plastic and metal ball pen with white barrel and colourful accents. A retractable plastic and metal pen with white barrel and unique frosted translucent double injected grip zone, finished off with a shiny chrome trim. 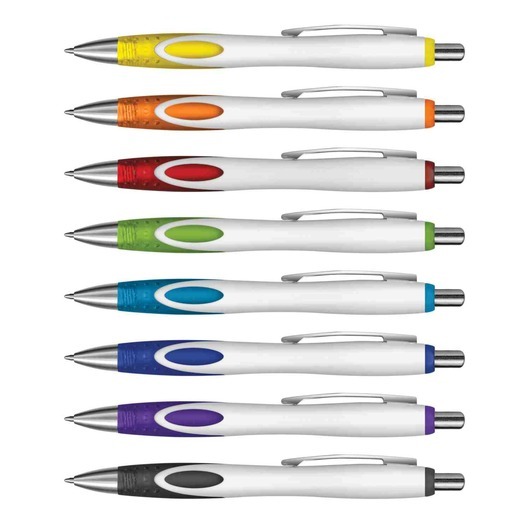 These pens are a great addition to any pencil case or stationary set with their fun design and attractive colours. They come with a large 1800m blue ink cartridge (black available for an additional cost) and a tungsten carbide ball for superior writing quality.